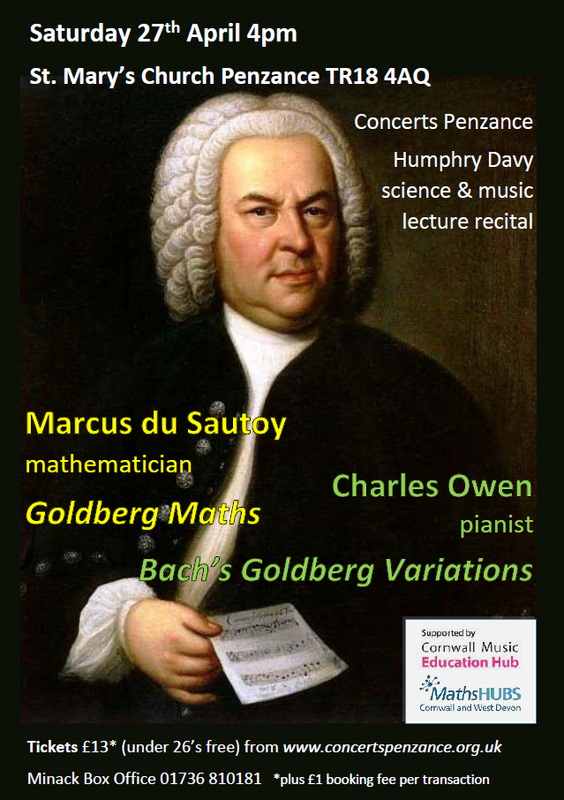 Tickets are selling fast for the final event of the Concerts Penzance season - Goldberg Maths - 4pm Saturday 27th April at St. Mary's Church Penzance. 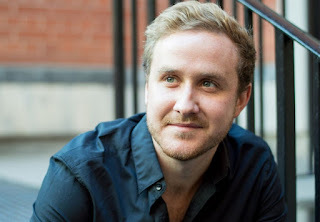 Marcus du Sautoy is the Charles Simonyi Professor for the Public Understanding of Science at Oxford University. His articles on all things mathematical appear in the Times, Telegraph, Independent and Guardian newspapers and he has presented many popular radio and television programmes exploring maths and science. Marcus's exploration of maths in music has included collaborations with the Royal Opera House exploring Mozart's Marriage of Figaro, with the Swedish Radio Symphony Orchestra, and many people in Cornwall will remember his previous visit to Penzance exploring the maths of Messiaen's Quartet for the End of Time. of piano music by JS Bach, Brahms, Janácek, Poulenc and Fauré, as well as many chamber music recordings. Book now while tickets are still available! 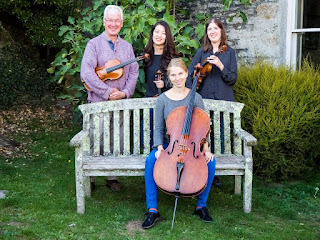 Including Dvorak ‘American’ Quartet performed by the IMS quartet and other chamber music works performed by young musicians.